We know that Microsoft and Qualcomm are working closely on bringing Microsoft Windows 10 operating system on the Qualcomm’s ARM based processors. What it means is that it will allow Win32 apps to be run on a mobile device that has Qualcomm Snapdragon 835 processors. We have already seen demos of Windows 10 running on Snapdragon 835. The first generation of these devices are expected to be released in the last quarter of 2017. Qualcomm has recently listed a set of their processors in documents for the paperwork during the recent patent dispute with Apple. This list has a surprising mention of the successor to the existing Snapdragon 835 processor that is SD 845. Snapdragon 845 ARM processor is expected to come with four Cortex A75 cores and four Cortex A53 cores. Snapdragon 845 will be launched early next year so there is a possibility of Microsoft launching the first generation ‘Windows on ARM’ devices with the latest Snapdragon Processor. 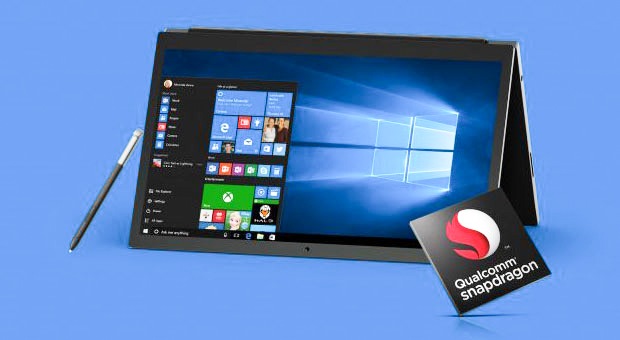 At Computex 2017, Qualcomm had announced that they are partnering with ASUS, HP and Lenovo to build ARM based Windows 10 PCs. Check the official Qualcomm page here of Windows on ARM for more details. We will post more information as soon as we get it.